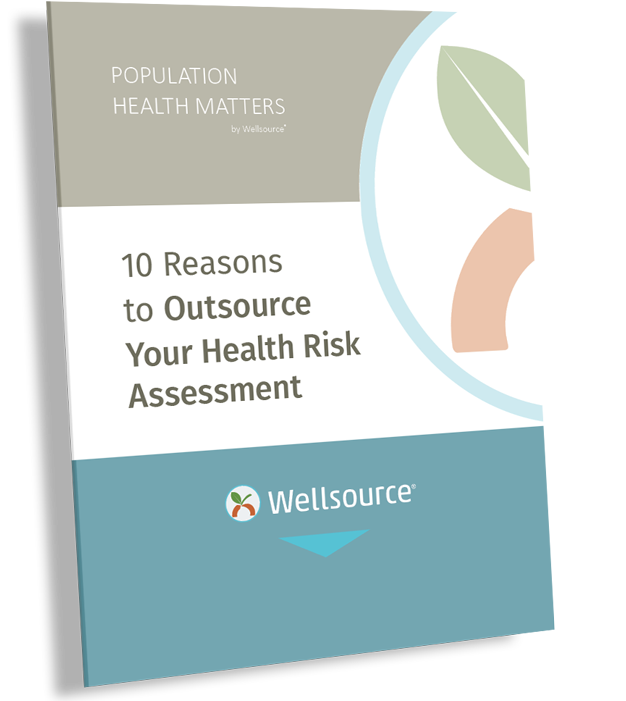 Wellsource provides evidence-based health risk assessments for your workforce, Medicare and Medicaid populations. WellSuite® HRA tools capture and display data in easy-to-understand formats. 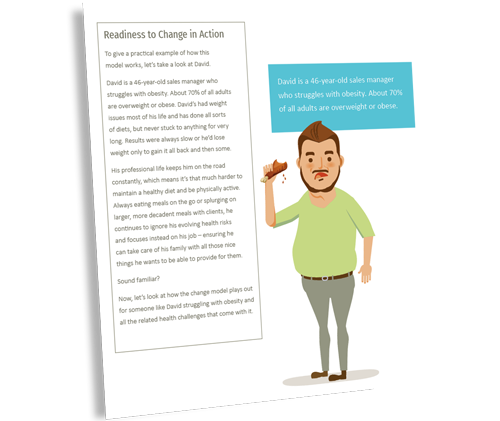 Our HRAs identify risk factors for preventable disease and measure participants’ readiness to change. With this information, you can focus and prioritize resources to yield better outcomes and reduce costs. Our NCQA certified, evidence-based health risk assessments connect securely into your existing wellness platform or EHR, offering an engaging experience that moves individuals seamlessly through their wellness journey. You’ll have access to aggregate reporting as well as raw data, so you can create your own custom reports whenever and however you want them. We securely store your data, but you always own it. What is a health risk assessment? Why are they important? 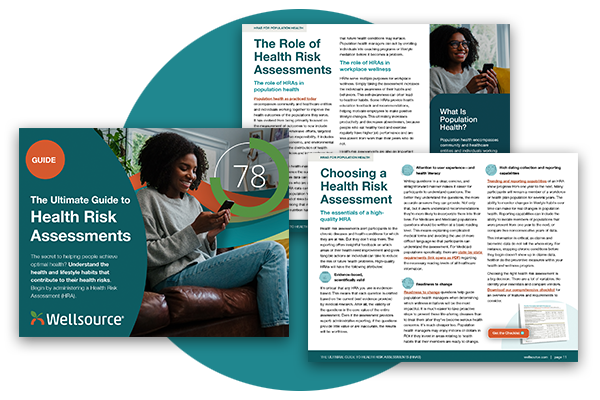 Download our comprehensive guide to find out everything you need to know about health risk assessments. What habits and behaviors do the happiest people display? What lifestyle factors are associated with mental health? 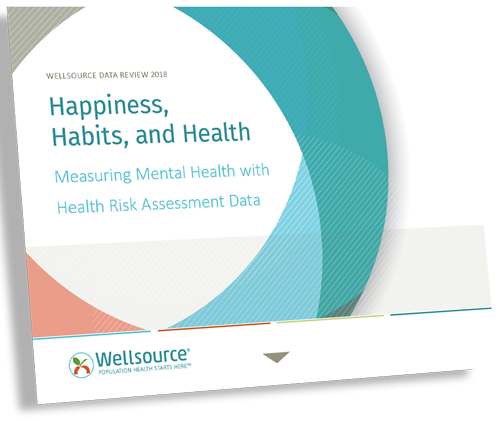 Download our annual data review to learn how to help your population be happy and mentally healthy. How do you choose the best health risk assessment to serve your population? Download our free guide that looks at six points you should consider. You recognize the value of an HRA. But should you try to build your own? Check out the Top 10 Reasons to Outsource Your HRA. Some health risk assessments are better than others. Download this checklist to compare the vendors you have in mind. The Centers for Medicare & Medicaid Services (CMS) insists that healthcare professionals need to put their patients first. Are you in tune with your patients? 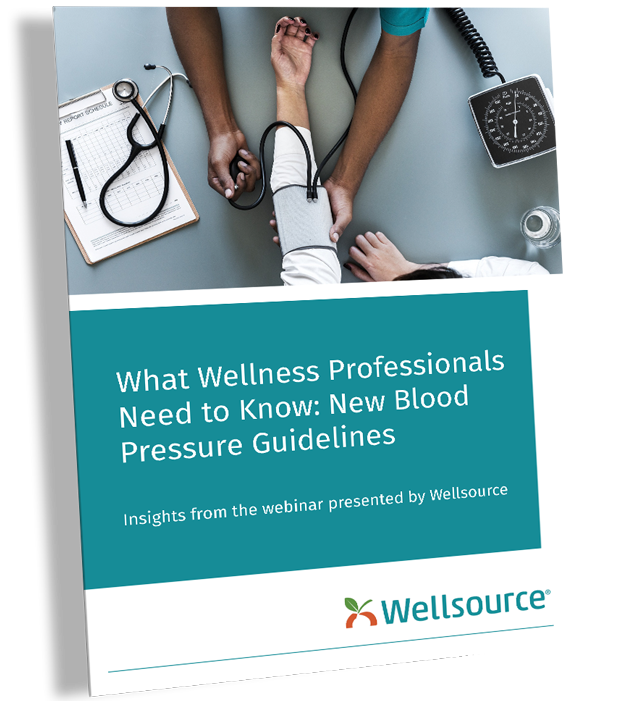 Catch up on everything you missed at our webinar regarding the AHA/ACC changes to blood pressure guidelines. What steps do you need to take to move your population through the complete cycle of readiness to change? 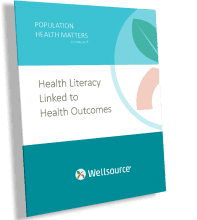 Download this guide for insight into helping your population make healthy changes. 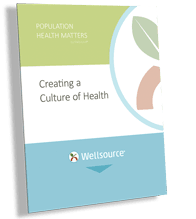 What do you need to create a culture of health in your population? 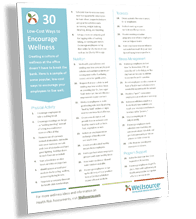 Download this guide for tips from the seasoned pros at Wellsource. Promoting collaboration, community, and a whole person perspective. 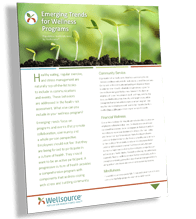 Download this quick look at the latest trends in wellness programs. Looking for fresh ideas to boost your wellness program? Download and pin this list to your bulletin board. A key component of inspiring engagement with your patients or plan members is to make sure that your communications are easy for them to understand. 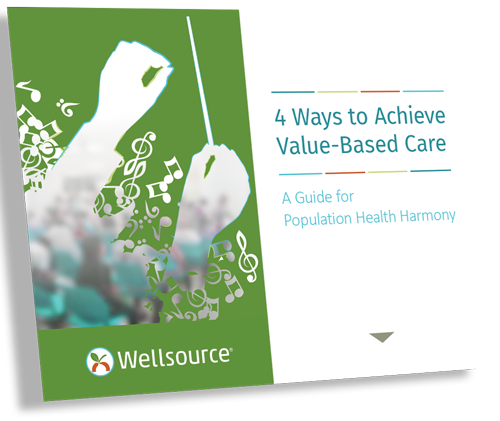 Download this free guide to learn ways to improve health communications. What is the primary cause of death worldwide? Download our white paper to see some current statistics. Never before has identifying risk factors for the Medicare population been as important as it is now. 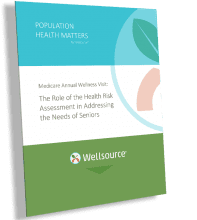 Download this free guide to learn effective ways to utilize a Health Risk Assessment for seniors. Medicaid enrollment doesn’t always mean available health benefits will be used. 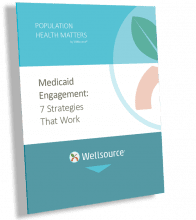 Download our free guide to learn how Medicaid plans and health providers from Alaska to Massachusetts are successfully engaging their Medicaid beneficiaries with innovative strategies. How much of an incentive, or penalty, can a company attach to taking an HRA before it’s no longer “voluntary”? 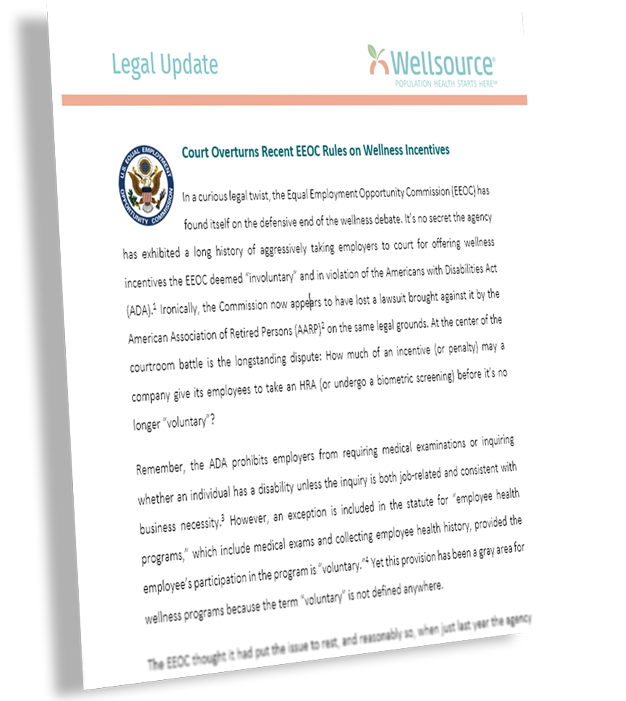 If you offer wellness incentives to your employees, you will want to read this legal update. The Centers for Medicare and Medicaid Services (CMS) have outlined requirements for Health Risk Assessments. 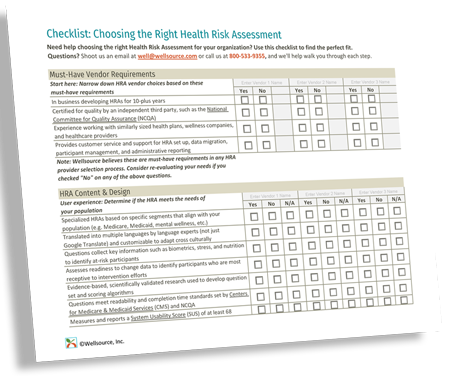 Download this free list CMS Requirements for the Health Risk Assessment to learn more. Medicaid changes took effect last July 2017. Download this infographic to find out if you are compliant for your Medicaid beneficiaries. Baby boomers are enrolling in Medicare in record numbers. 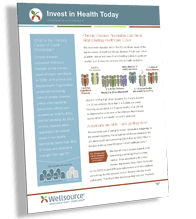 Download this infographic to see the impact on healthcare costs and what to do about it. 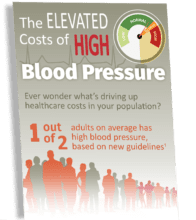 High blood pressure costs more than you think. Download this infographic to calculate just how much this chronic disease is costing you. Ten years of certification from the National Committee for Quality Assurance has several advantages. 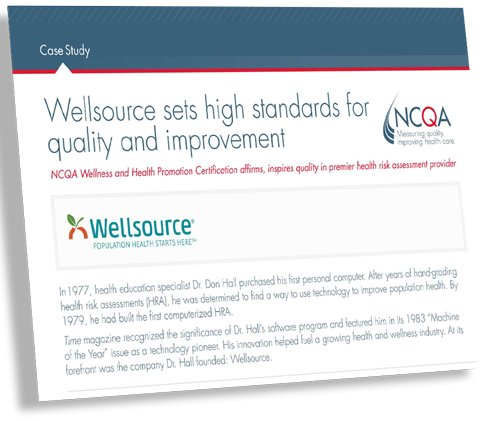 Download this case study to find out what it means for companies outsourcing their health risk assessment to purchase an HRA with this seal of approval already in place. Bravo Wellness had specific requirements in mind when searching for a health risk assessment. 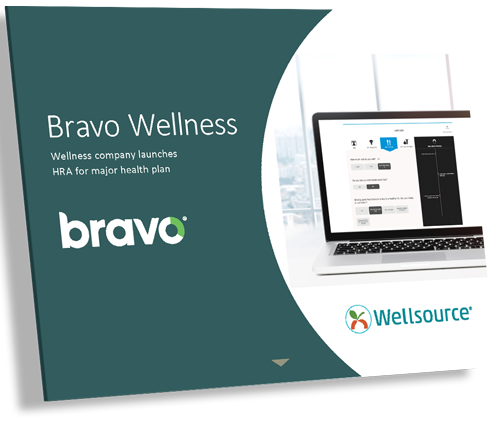 Download this case study to learn how Bravo found an HRA that was lifestyle-focused, NCQA-certified, and had the ability to integrate with their data and platform. Through tracking the success of their wellness program, Nebraska Medicine has discovered new ways to motivate and reward their employees. 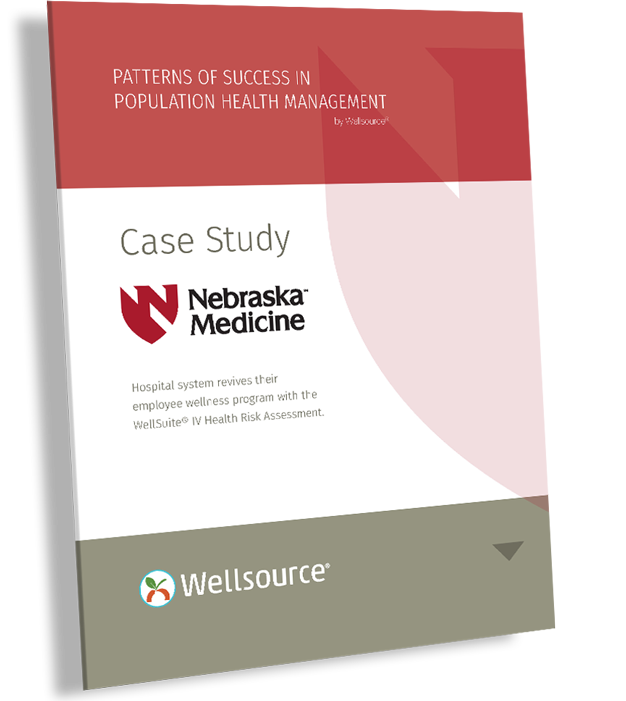 Download this case study to learn how Nebraska Medicine relies on health risk assessment data to improve the health of their population. What happens when a health risk assessment helps drive wellness programming? Disease prevention, increased engagement, and a healthier workforce. 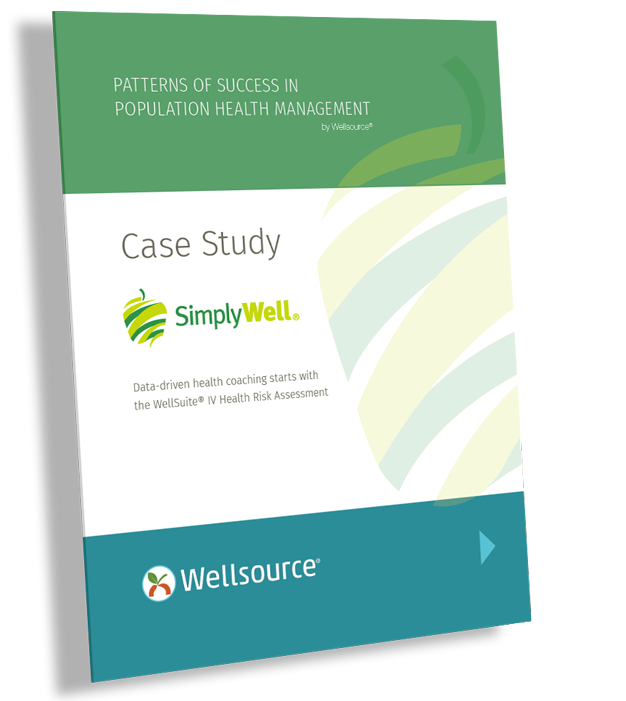 Download this case study to learn how Nebraska-based SimplyWell leveraged data from the WellSuite® IV Health Risk Assessment. Engine 2 Seven-Day Rescue Challenge participants measured results with a Health Risk Assessment. 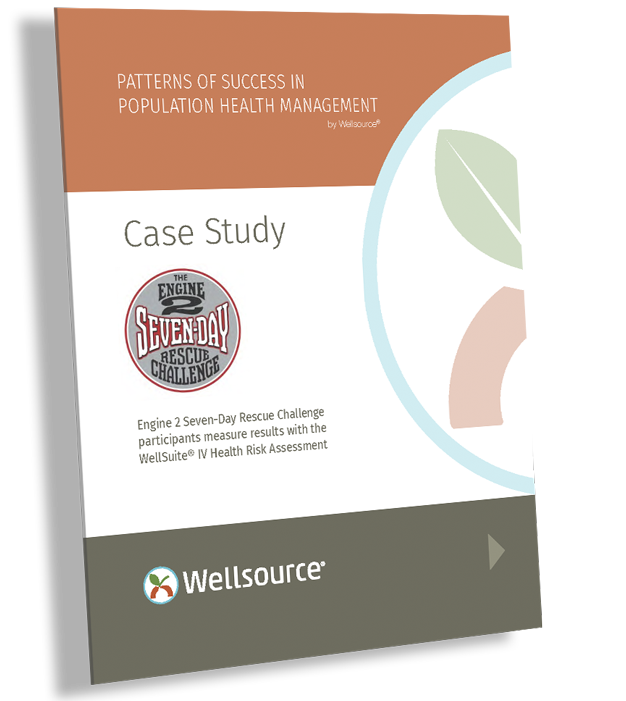 Download the case study to learn how the WellSuite® IV Health Risk Assessment helped Challenge participants track their results. Download the WellSuite® IV HRA for the Workforce product sheet. Download the WellSuite® IV HRA for the Workforce (non-U.S.) product sheet. Download the WellSuite® IV HRA for Medicare product sheet. 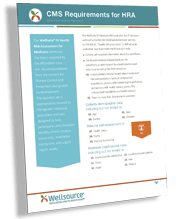 Download the WellSuite® IV HRA for Medicaid product sheet. Download the WellSuite® IV Health Shelf® product sheet. 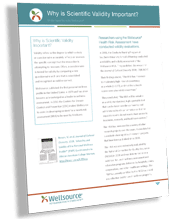 Download the fact sheet on the scientific validity of WellSuite® IV health risk assessments. 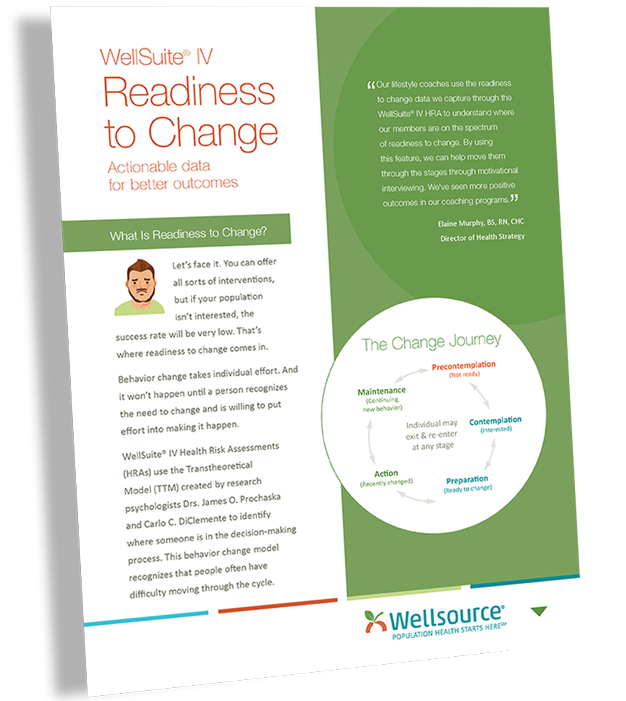 Download the fact sheet on the readiness to change capabilities of WellSuite® IV health risk assessments.